We know the world of Integrated Library Systems (ILS) is complicated and products change frequently. This list is a guide to some of the major vendors and systems we work with. Don’t see yours on the list? Just ask us! 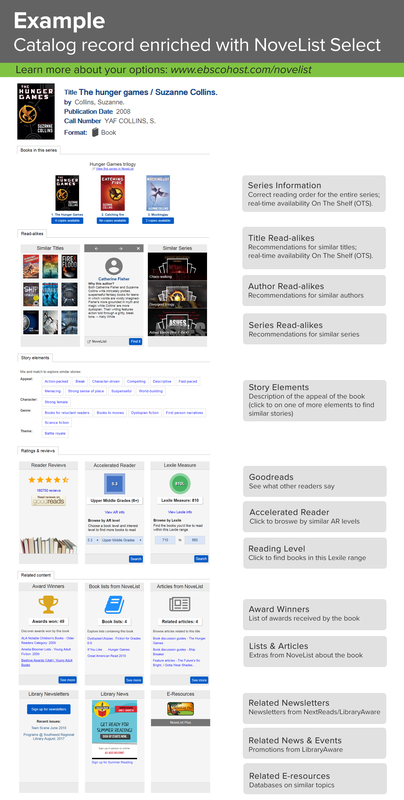 We've recently released an updated look to NoveList Select which may not be reflected in the example catalogs below. Check out our product release for more information about the new features. *Note about Encore: IF your library is part of a consortium using Encore, there are some limitations to the way Select accesses your shared catalog. Please ask us for more details. Was yours not on the list? Just ask us!